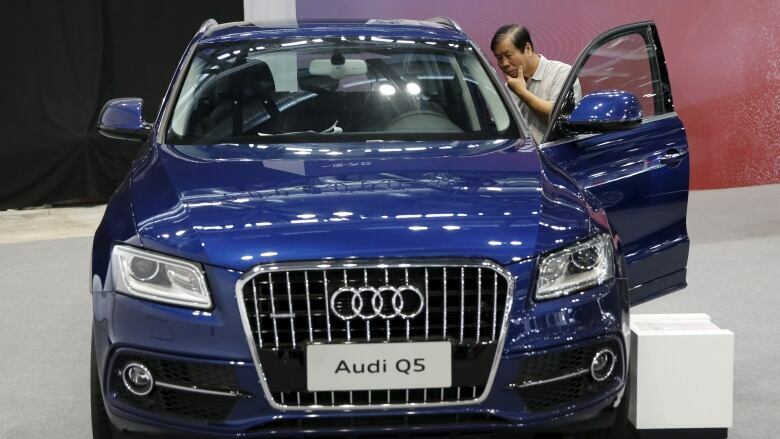 Audi says 2.1 million cars worldwide were fitted with the software that allowed its parent company, Volkswagen, to cheat emission tests. Audi said 2.1 million cars worldwide were fitted with the software that allowed parent company, Volkswagen, to cheat emission tests. Could Volkswagen scandal be diesel's death knell? Additionally, Volkswagen has suspended the research and development chiefs of its core VW brand, luxury division Audi and sports-car maker Porsche, sources familiar with the matter said on Monday. The carmaker's supervisory board last Friday agreed to put a number of employees on leave until the details of VW's emissions cheating scandal were cleared up, without providing names. Reuters reported last Thursday that VW would fire top brand executives as it tries to recover from the scandal. Audi, VW and Porsche declined comment. German prosecutors have opened an investigation against former Volkswagen CEO Martin Winterkorn in the company's emissions-rigging scandal, Associated Press reports. Prosecutors in Braunschweig said Monday that the investigation would concentrate on the suspicion of fraud committed through the sale of vehicles with manipulated emissions data. It added that the probe aims to establish who was responsible. Prosecutors have received a number of criminal complaints in the case, including one from Volkswagen itself that doesn't name any suspects. Under German law, it is not possible to bring charges against a company, only against individuals.